Is your home or business in need of our Winchester carpet cleaning services? After years in the industry, that’s not all we have to offer. Hook Cleaning Services has grown to move into Basingstoke offices, equipped with multiple vans ready for multiple locations and a vast new range of services, including upholstery, rug and tile and grout cleaning. We’ve even undergone specialist training to ensure we get it just right. We’ve now been working in Winchester for a number of years now – helping people to restore homes, businesses and other professional spaces to their former glory. That’s what we love about this job, we’re always able to help people – and that’s a great feeling. That’s why we talk you through the process, step-by-step, so you always feel happy with the work that’s been done. We’re only up the road in Basingstoke too, which means we’re close by for any cleaning emergencies! Your Winchester home deserves some TLC, and we have a range of services ready to make that happen. We offer Winchester carpet cleaning services, upholstery cleaning, rug cleaning and tile and grout care – we even provide specialist services including natural stone cleaning and grout care. There’s one thing that’s bound to stand out to you though, and that’s our personal touch. We truly care about your home and how you want to improve it. Get in touch with us today for a free, no obligations consultation. With so many thriving businesses in the Winchester area, we know exactly why your commercial space needs to be at its best. 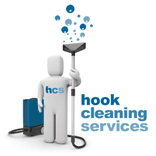 Hook Cleaning Services can help to transform your professional area – whether it’s an office, exhibition or convention space or even a hotel – by providing expertise based of years’ experience in the industry. In Winchester, we offer commercial carpet cleaning, upholstery and rug cleaning and specialist tile and grout care. Do you live or work in Winchester? Give us a call today to organise a free, no obligations consultation – we’ll bring your home or business back to its best.